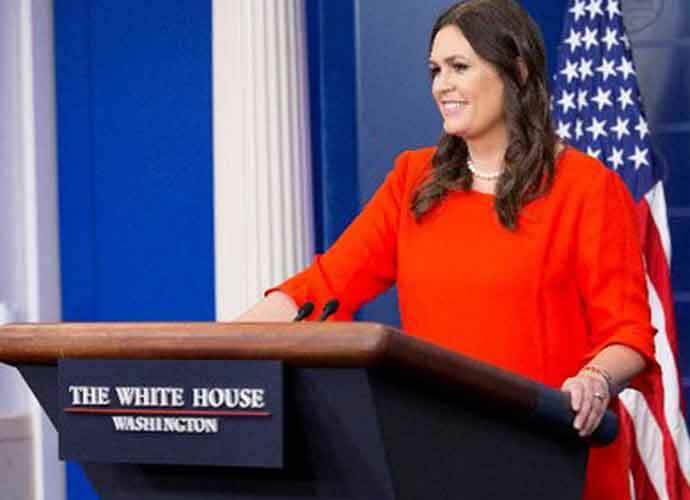 White House Press Secretary Sarah Huckabee Sanders gave a new reason on Sunday for why President Donald Trump should not publicly release his tax returns: House Democrats aren’t “smart enough” to review and fully comprehend them. “This is a dangerous, dangerous road and frankly, Chris, I don’t think Congress, particularly not this group of congressmen and women, are smart enough to look through the thousands of pages that I would assume that President Trump’s taxes will be,” Sanders told Fox News Sunday host Chris Wallace. Earlier this month, the House Ways and Means Committee — led by its chairman, Rep. Richard Neal (D-Mass.) — requested the president’s taxes from the Internal Revenue Service, citing a rarely-used 1924 provision of the tax code. Neal reiterated his request on Saturday. “This is all about political partisanship,” Sanders added of Democrats’ attempts to secure Trump’s taxes. Rep. Adam Schiff (D-Calif.), the chairman of the House Intelligence Committee, was one of several prominent Democrats to respond to Sanders’ remarks. Schiff has faced calls from many Republicans to resign from Congress amid his role in the investigation into Trump’s 2016 campaign associates alleged ties to Russia. Reps. Ted Lieu (D-Calif.) and Katie Porter (D-Calif.) — who is trained in tax law — also responded to Sanders’ comments.